LG Electronics USA introduced its flagship model in the OLED TV category—the 77-inch class LG SIGNATURE OLED TV— at CEDIA 2016. Now that OLED77G6P is available for a suggested price of $19,999. The 77-inch LG SIGNATURE OLED TV is supported by LG’s new SIGNATURE CONCIERGE service, an exclusive one-on-one customer support, and service program. 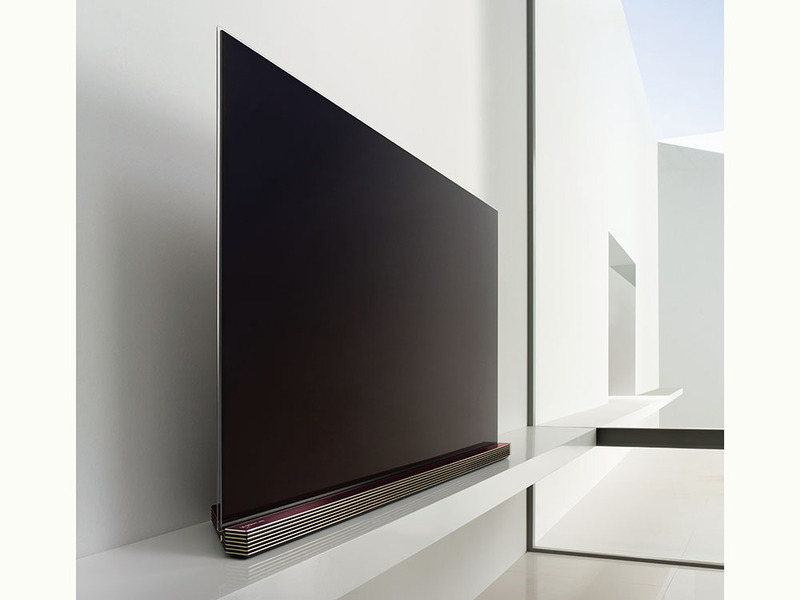 The 77-inch (76.7 inches measured diagonally) LG SIGNATURE OLED TV is the flagship of the LG OLED TV portfolio, which includes the previously released 65-inch class (64.5 inches diagonal) LG SIGNATURE OLED TV, as well as the LG OLED E6, B6, and C6 TV series. With 10-bit panels and processing, LG OLED TVs can render more than a billion possible color variations. What’s better is that OLED TVs deliver incomparable picture quality even from wide viewing angles. In addition to including open-format HDR10, every 2016 LG OLED TV features Dolby Vision technology for an enhanced HDR experience. Using dynamic metadata to adjust color, contrast and brightness on a frame-by-frame basis, Dolby Vision content boasts superior color accuracy. And, instead of HDR10’s one-size-fits-all approach, Dolby Vision mapping engine technology ensures that content is optimized to the TV’s capabilities. All LG OLED TV models come with the latest generation of LG’s webOS Smart TV platform, which makes finding and switching between content options—including broadcast TV, streaming services and external devices—simple and fast. As an exclusive benefit to LG SIGNATURE OLED TV owners, LG Electronics USA launched “LG SIGNATURE CONCIERGE,” a 24/7 VIP-level service providing one-on-one customer support. LG SIGNATURE CONCIERGE includes a welcome package, a personalized call to explain program benefits, remote service, priority dispatch, and windowless technician arrival which pinpoints the arrival time to minimize the customer’s wait time. In addition, upon registration of the TV, LG SIGNATURE CONCIERGE members receive a $200 American Express gift card, an LG G Pad Tablet and future access to special invitations.